Shop online for over 200 bts model trains at discounts up to 26%. Buildings is the most popular of the 7 bts model trains categories, then Figures, and Scratch Supplies. This is the HO Scale Cabin Creek Series - Greely's Place - 2-3/16 x 2-3/8'' By B.T.S. 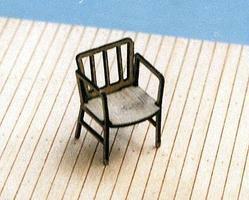 This is the HO Scale Captain's Chairs Kit By B.T.S. This is the O Scale Greeley's Place - Laser-Cut Wood Kit By B.T.S. 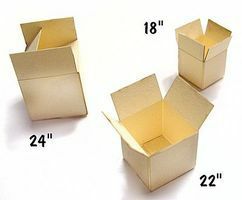 This is the HO Scale Corrugated Cartons - Kit - pkg(12) By B.T.S. This is the O Scale Gents & Ladies Outhouse By B.T.S. 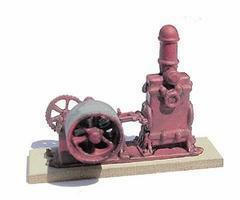 This is the HO Scale 1876 Challenge Pump Kit By B.T.S. 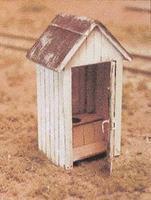 This is the HO Scale One Holer Outhouse Kit - Peaked Roof, Positionable Doors for Ladies (Crescent Moon) By B.T.S. 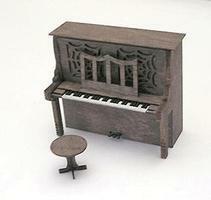 This is the HO Scale Upright Piano Laser-Cut Wood Kit w/Piano & Stool By B.T.S. This is the HO Scale Small Birds By B.T.S. This is the HO Scale Pinch-Toe Coffin Laser-Cut Wood Kit pkg(4) By B.T.S. This is the HO Scale Clothes Line (Laser-Cut Kit w/Posts & Line - pkg(4) By B.T.S. This is the HO Scale 8-Horse Stover Engine Kit By B.T.S. This is the HO Scale Cabin Creek Series - Post Office - 2-3/16 x 3-1/2'' By B.T.S. This is the O Scale (On30) McCabe's Engine House By B.T.S. 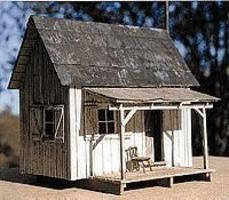 This is the O Scale Prichards Barn By B.T.S. This is the HO Scale Goin' Home Series - Junior's Shiner (Old-Style Trailer Home) - 4-5/8 x 3'' By B.T.S. 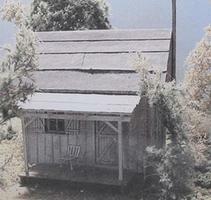 This is the HO Scale Goin' Home Series - Tobacco Barn - 5 x 2-1/2'' By B.T.S. This is the HO Scale Logging Bunkhouse pkg(3) - 3 x 1-13/16'' By B.T.S. This is the O Scale Pinch-Toe Coffin pkg(4) By B.T.S. This is the O Scale Cabin Creek Company House - Kit (Laser-Cut Wood) By B.T.S.